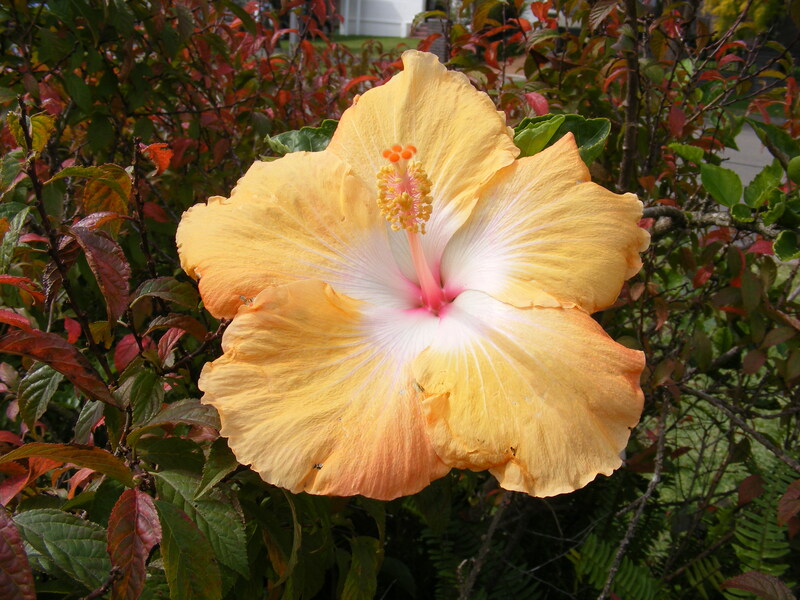 Even now in early winter, the Hibiscus are still in bloom. This one grows in our front garden. It came from a cutting, many years ago. The parent plant has not survived, but this one soldiers on, giving liberally of its delightful flowers. Though short-lived, each flower holds such beautiful colours and textures. Sydney’s climate allows such an array of flora to grow and flourish.